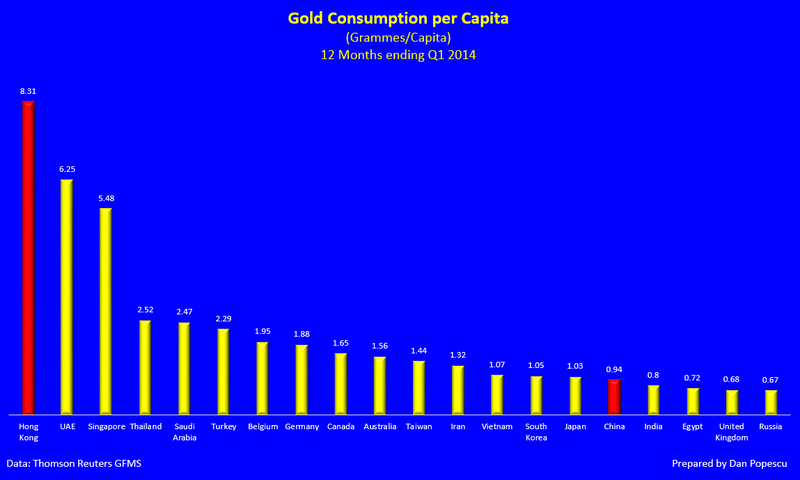 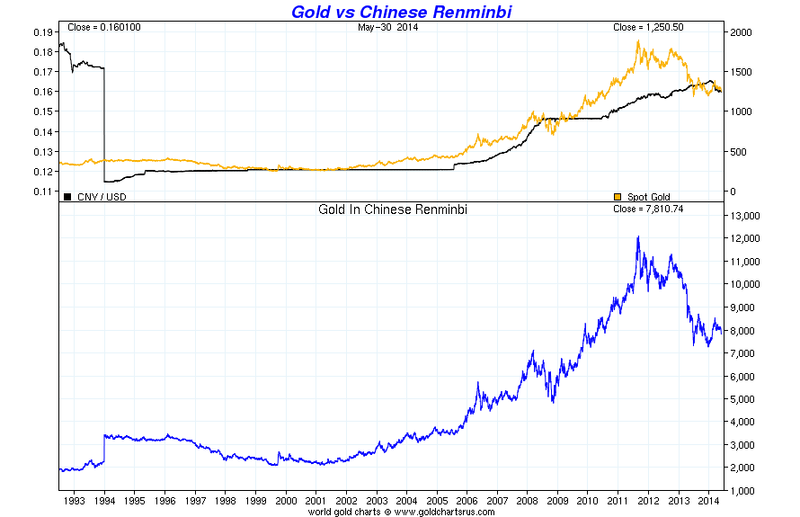 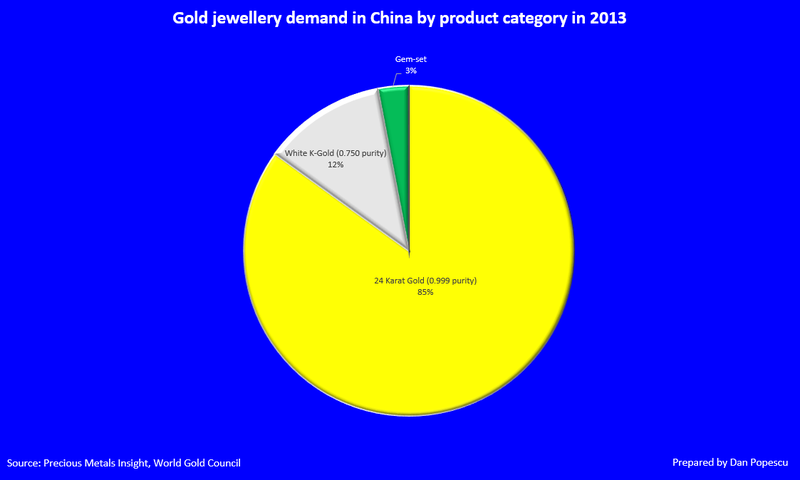 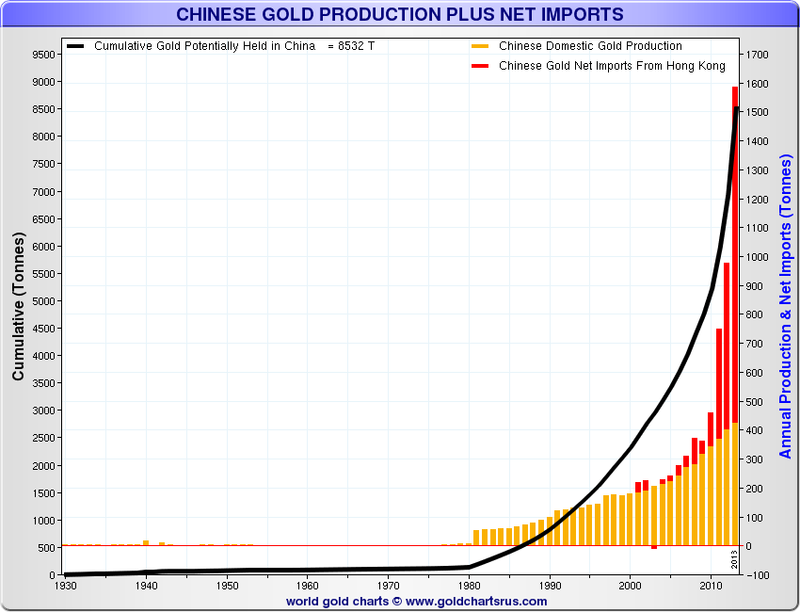 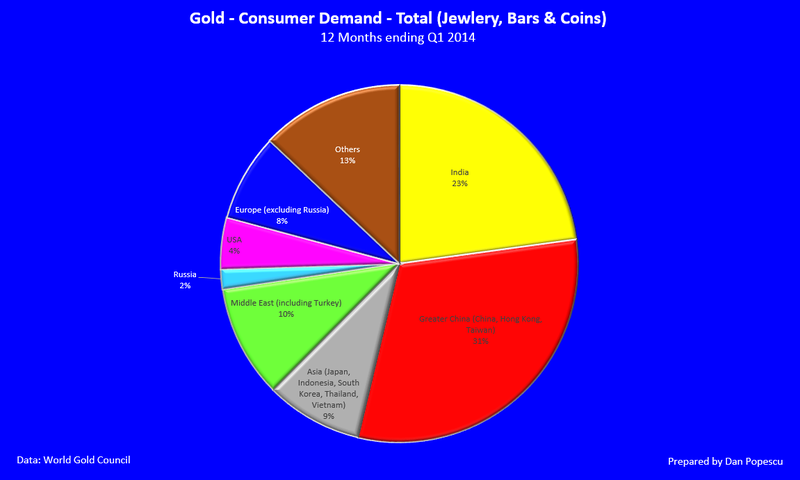 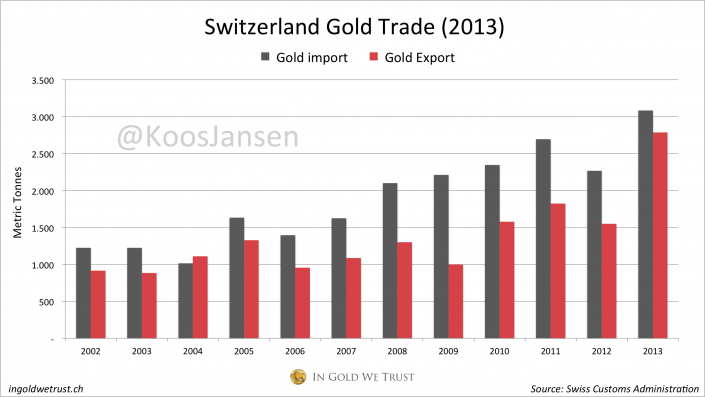 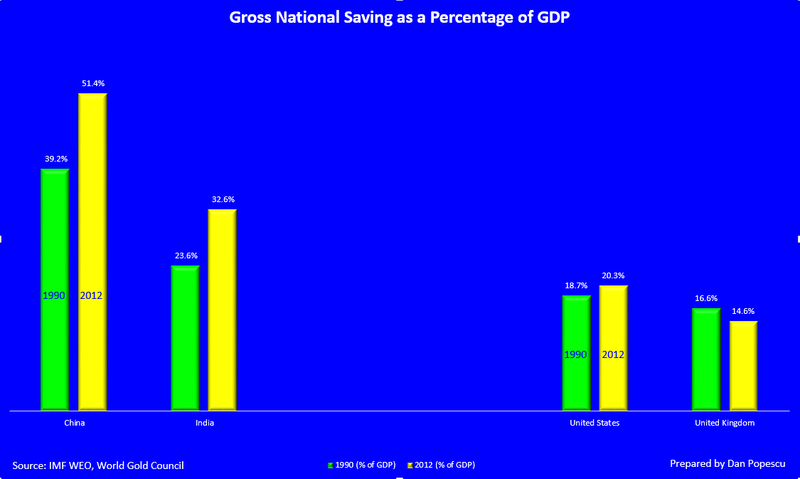 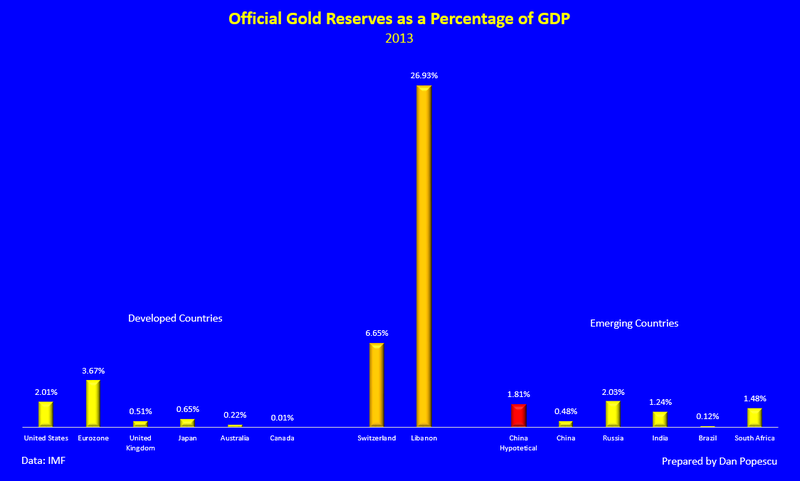 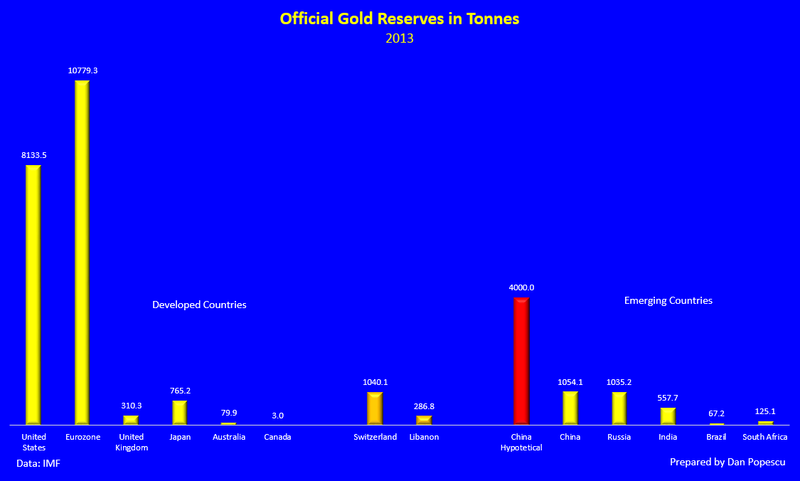 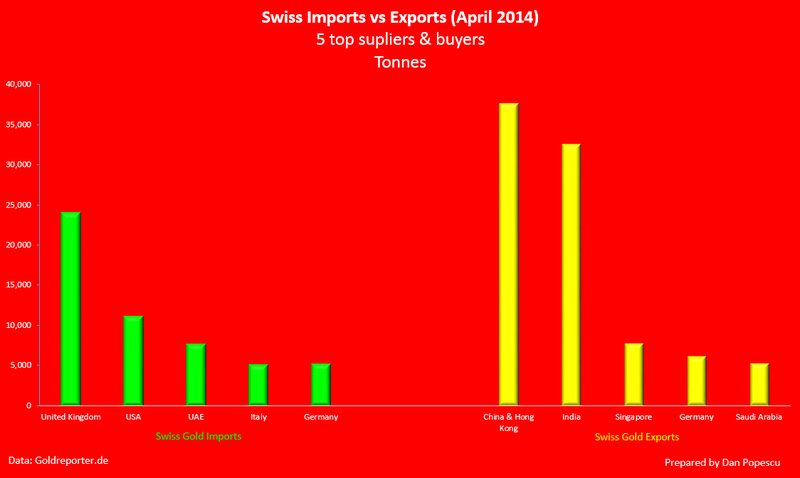 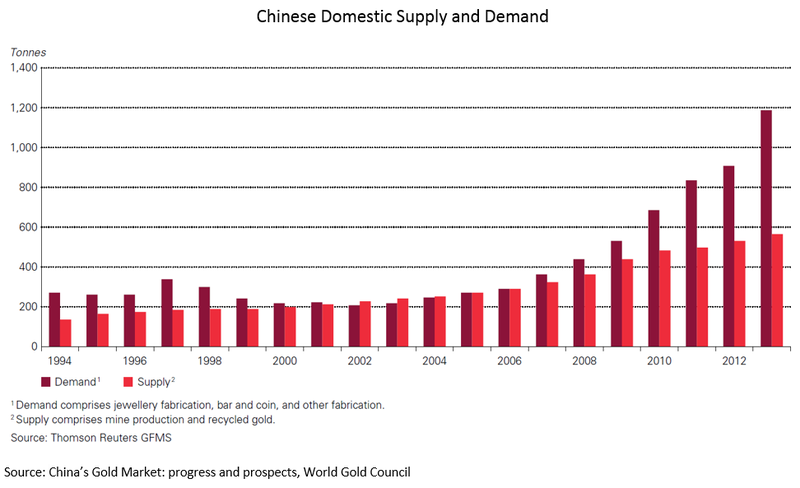 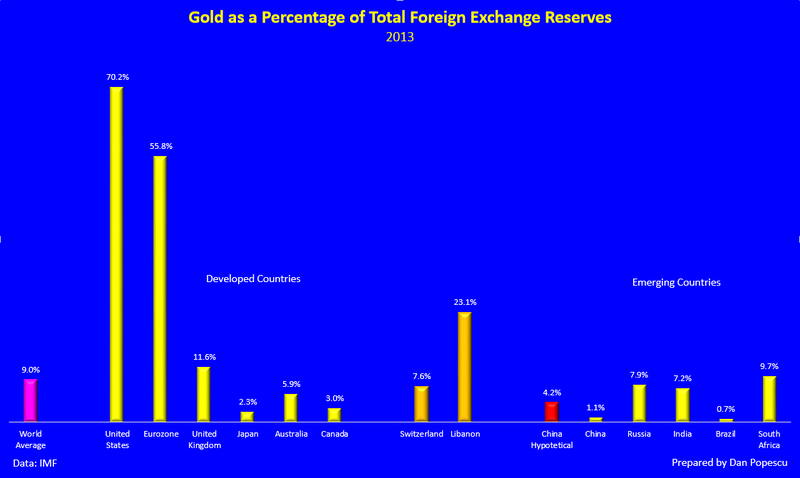 The World Gold Council also says, “The major increase in gold supply to the Chinese market in 2012 and especially 2013 could be partly related to large-scale official purchases.” (2) Investment in gold has undoubtedly benefited also from the limited selection of alternative forms of savings in China. 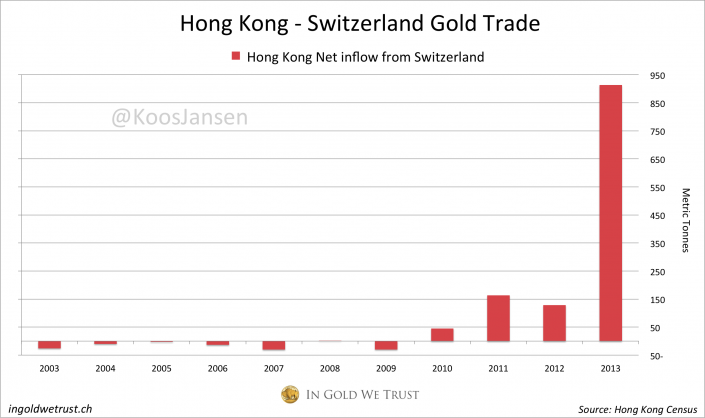 Most investors in China that look to own gold want it in physical form and in their own direct possession, because of a lack of trust in third-party custodians. 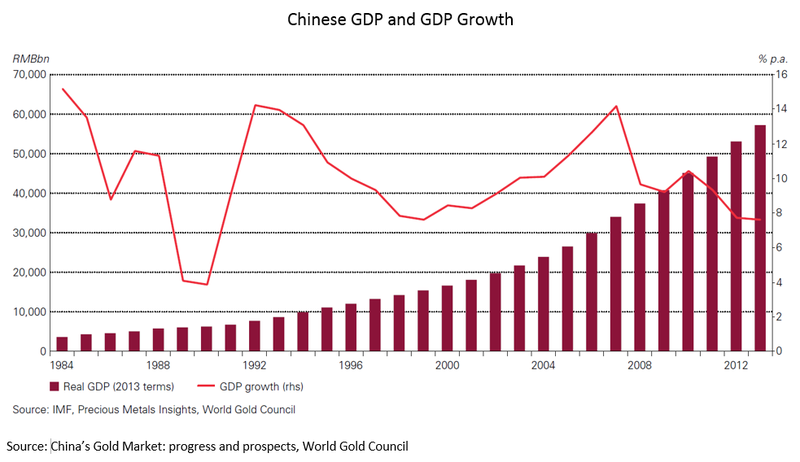 The World Gold Council says, “In China there is, to some extent, a German-style popular memory of past hyperinflation that continues to influence attitudes and behaviour today.” (2)Therefore,Chinese consumers buy 24-carat gold as a counter to currency devaluation.